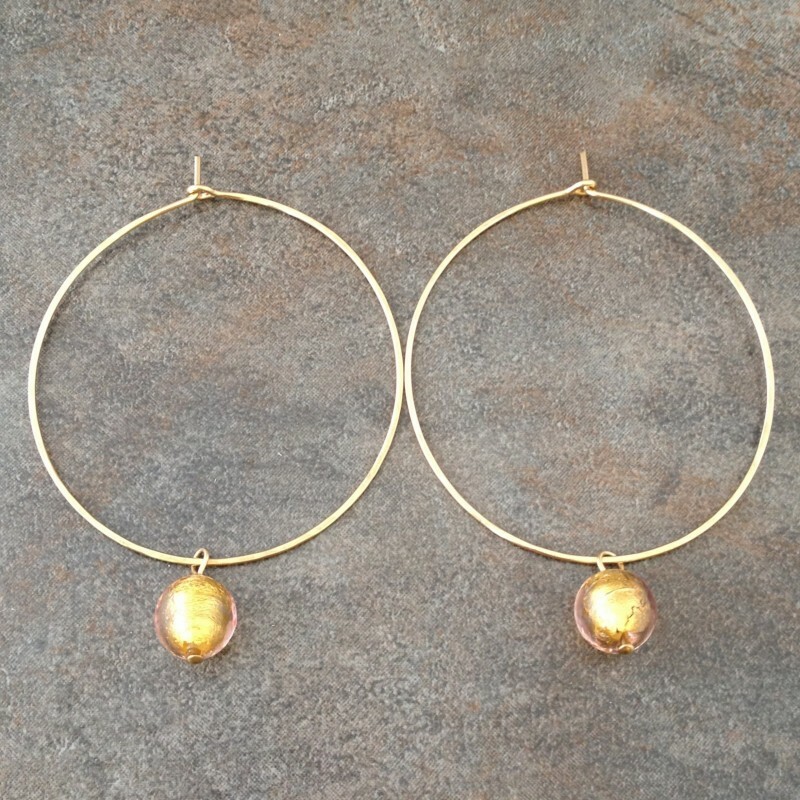 Large 14k gold-filled hoops slightly hammered for strength and texture. 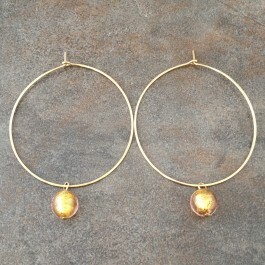 The gold, hand-made Murano glass beads from Venice Italy complement the gold hoops. Lightweight and comfortable. 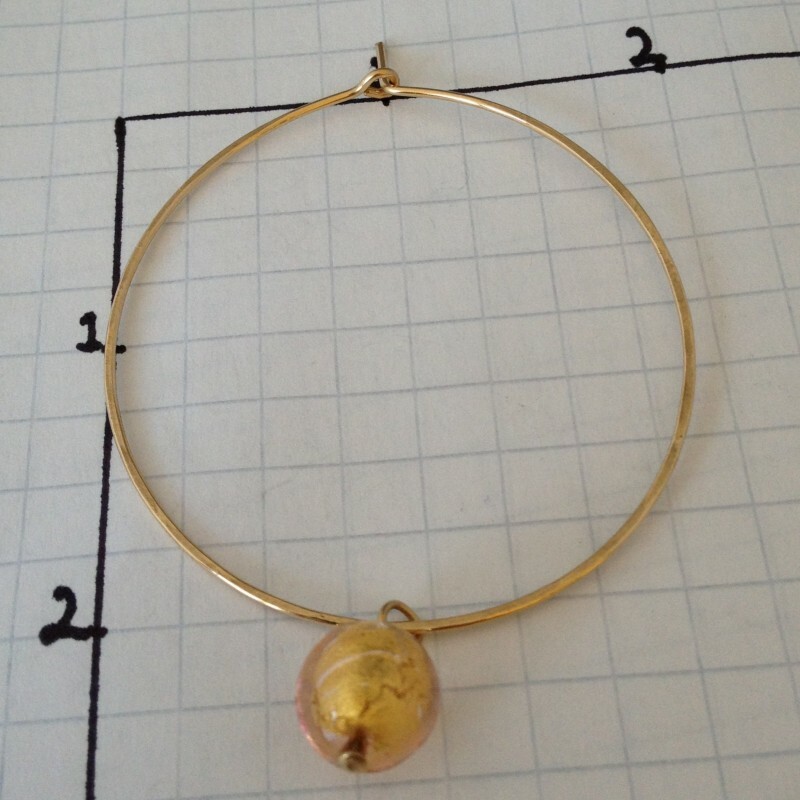 About 2 1/2" long and 1 7/8" wide (slightly oval).